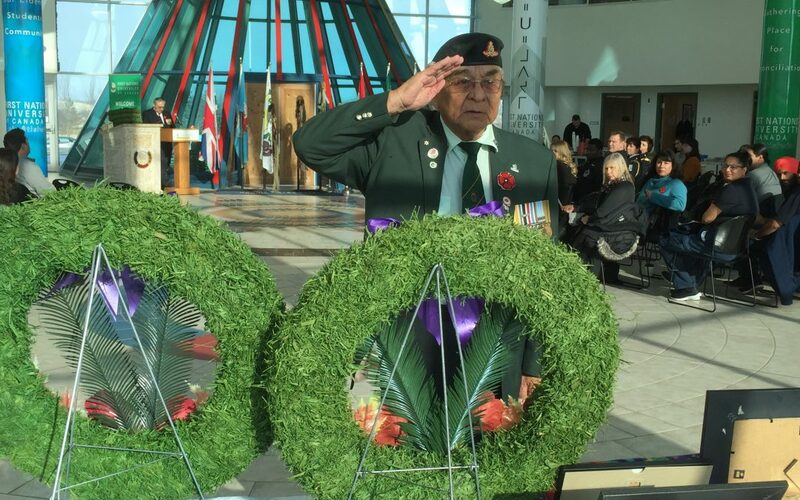 Saskatchewan’s Indigenous veterans gathered Thursday in Regina to mark the 25th National Aboriginal Veterans Day. One veteran of the Korean War estimated there were approximately two dozen veterans alive in the province today. Another said he was the last in his First Nation. As Canada commemorates the 100th anniversary of the end of the First World War, peacekeeping veteran Arthur Anderson said there were only a few small groups of veterans left, and that ceremonies like these help to pay respect for the contributions made. Ron (Rocky) Redwood, a Vietnam vet who served with U.S. forces says gatherings with other veterans help him not only pay respect, but heal from the historic trauma.